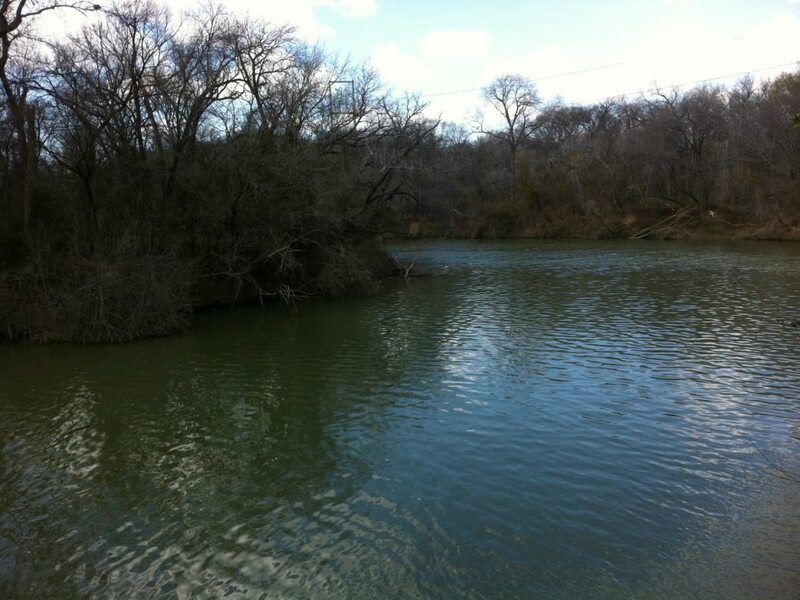 Just outside of downtown Dallas a large greenbelt straddles the Elm Fork Trinity River. Within this greenbelt the City of Dallas has created an outdoor area chocked full of recreational activities. On the northern edge of the greenbelt there is an 18-hole golf course, a public tennis complex, and a massive gun range. In addition to this, there are several spots to get a kayak in to paddle the area. If all of that wasn’t enough, the popular trail stewards DORBA have created a beautiful multi-purpose trail for hikers, bikers, and trail runners to enjoy! Mostly wooded, this trail winds through native hardwoods and skirts the Elm Fork Trinity River. Two main trailheads are available on either side of the park, giving access to those coming from all sides of the metroplex. With soft bottom dirt trails the L.B. Houston Nature Trail is easy on the legs for bikers of all skill levels. Sometimes avoided by expert riders, the trail can seem a bit easy for those looking for a challenge. Containing over 10 miles of dirt path, DORBA has cut a multitude of loops to make up the complex system of this trail. While the relatively flat terrain won’t give you much in the realm of climbs or steep descents, the various options set forth on the trail will keep your interest level up. Some twists and turns, with sharp wooded turnarounds dot the trail map but aren’t too difficult for beginner riders to complete. With several straightaway sections, many people like to ride this nature trail for time, picking up speed during much of the park. This trail has set itself apart as being the perfect spot for beginner riders to cut their teeth on. It’s not unlikely to see families on the trail giving the sport of mountain biking a shot. Wildlife lovers won’t be disappointed though, as the many loops cut near the Elm Fork Trinity River and give the option to take a break near this beautiful waterway. This is also a great trail for hikers and bikers to enjoy during the hot summer. With most of the 10 miles being tree covered, escape from the sun is easy to achieve. The facilities provided throughout the greenbelt make visiting for a day convenient. Bathrooms, water fountains, and covered areas are all present throughout the area. Taking I-35E north from downtown Dallas, keep left at the fork to merge onto Hwy 183. The highway will then again fork, where you will keep right onto Hwy 114 towards Grapevine Texas. Take the exit for Tom Braniff Drive, and keep straight on the service road. Head north on Wildwood Drive and you will see the Wildwood Drive trailhead. Keep heading north until you reach California Crossing for the northern section of the park. Turn left, and you will see the California Crossing trailhead on the south side of the road. NOTE: Due to the flooding in spring of 2015, parts (or all) of this trail may be closed. Visit DORBA's L.B. 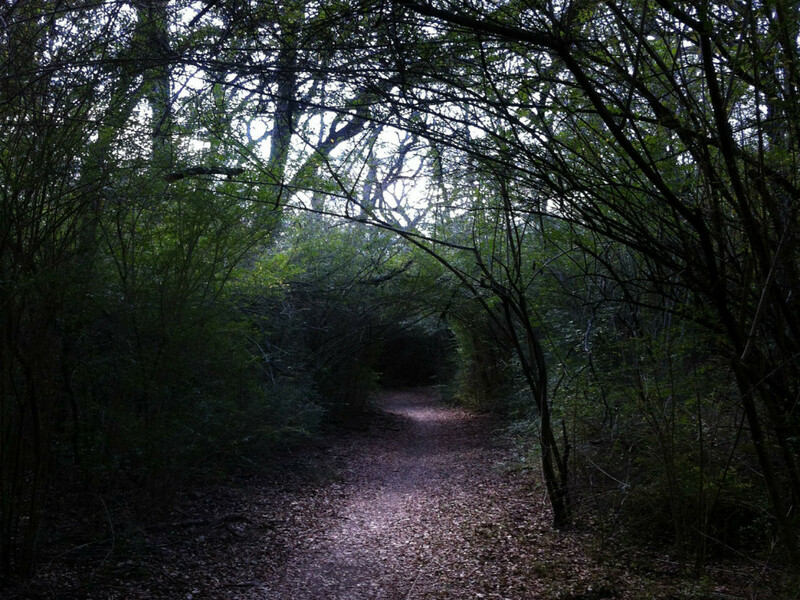 Houston Nature Trail page for up-to-date information.